How can you guarantee a well-run meeting? What are the biggest e-mail mistakes? How casual is “business casual”? When it comes to cellular phones, what is the difference between good business and bad manners? Questions like these persist because manners still matter. Proper manners, etiquette, and interpersonal skills are as crucial to success as are innovative products and services. 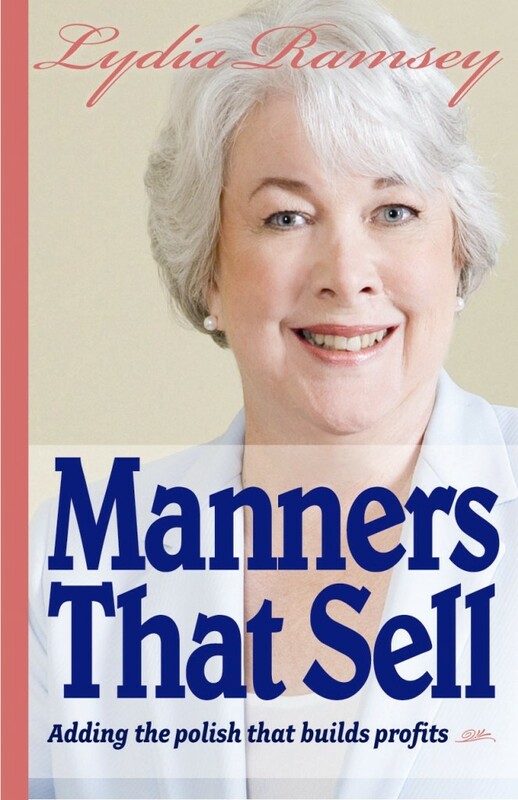 In this comprehensive guide to mastering everything from professional relationships and correspondence to business attire and luncheons, Lydia Ramsey, an authority on business protocol and propriety, provides hundreds of invaluable suggestions to master good manners in any business setting. Available in hardcover and PDF. Learn more. Have you ever wished that you had paid closer attention to your mother when she told you how to eat your soup and butter your bread? Well, Lydia Ramsey is not your mother, but she has compiled a list of 85 tips for dining for success. It’s all your mother ever told you and more in an easy-to-read format. 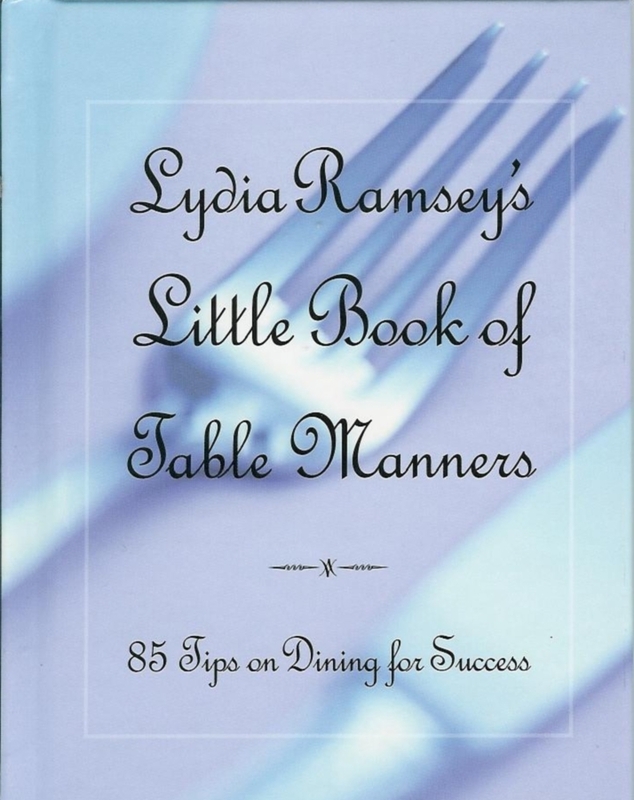 The next time you are stuck wondering which fork to use, how to eat your pasta or what to do with that olive pit in your mouth, pick up Lydia Ramsey’s Little Book of Table Manners for the answer. Whether you are trying to impress your boss, win over a potential client or make a hit with your new in-laws, this handy little guide to table manners is a must. Available in hardcover, softcover and PDF. Learn more. Available in PDF. Learn more. Are you worried about making mistakes during the holidays that will haunt you year round? This is the time of the year when your professional conduct can help you to outclass and outlast your competition. 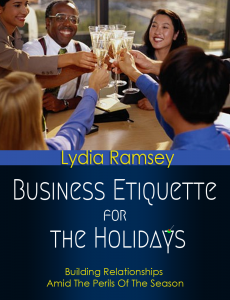 Do you feel confident about how to conduct yourself over holiday meals or at the office party? Are you sure of the correct protocol to follow in sending out greeting cards? Do you stress over the proper way to give and receive business gifts? Learn how to create a lasting positive first impression? Polish your communication skills so you can get that dream job or next promotion? Use the Internet to develop relationships? Learn how to effectively communicate using the telephone? Dress professionally for every occasion? Dine in a business environment? Network with polish to build relationships online and in person? 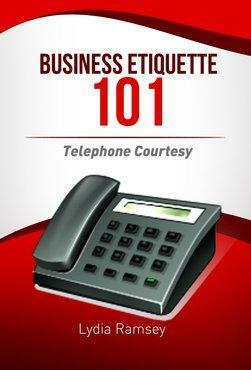 If you answered yes to even one of these questions, then Business Etiquette Essentials is the course you want to take. Presented primarily in video format you will learn everything you need to know to get the job or promotion or to grow your business and the bottom line. You will build better and longer-lasting relationships. In addition, you will feel more confident than you ever have no matter what the business setting. Lydia Ramsey is a professional speaker, trainer and author who specializes in business etiquette, professional conduct and customer service. 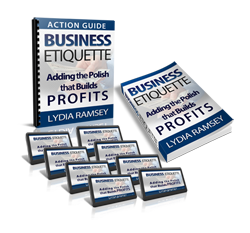 She helps business owners and their employees; associations and their members; as well as individuals seeking to get ahead, use modern manners and the basic principles of courtesy, kindness and respect to grow their business and promote themselves with polish in the workplace. In today’s highly competitive work environment, those who wish to stand out from the crowd need more than business skills, expertise in their respective fields and degrees from the most reputable institutions of higher education. They need interpersonal skills.